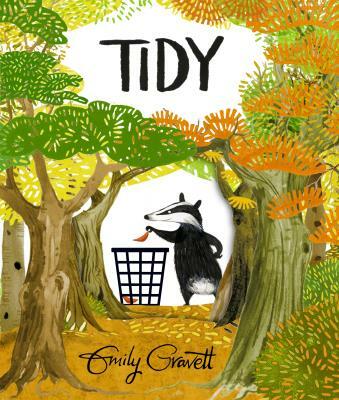 A welcome return to longer picture books from Emily Gravett, after her delightful series for toddlers featuring Bear and Hare, ‘Tidy’ tells the story of Pete the badger, a slightly OCD woodland character who gets a bit carried away when he starts to tidy up the forest, with disastrous but amusing consequences! Sumptuously illustrated and with a resounding environmental message, this book is a real treat for 3-5 year olds. Emily will be at the bookshop on the launch date of the book – April 7th, tickets priced £2 per child.